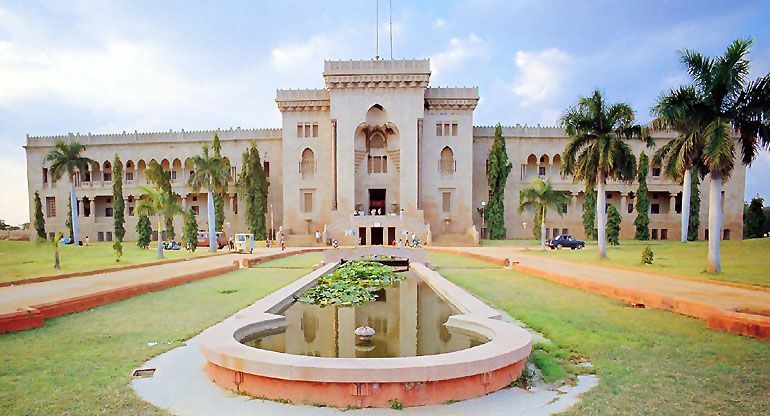 One of the most famous universities in India, Osmania University offers Bachelors Degree in Forensic Science as well as Masters Degree in Forensic Science. Both these courses fall under their regular courses, the entry to which is strictly on merit basis. For getting through to this course, the minimum eligibility criterion is 10+2 pass with pure science. Being a state funded university, the fees to the course is also much lesser than its private counterparts. Among the large variety of courses that this institution has to offer, the courses of Forensic Science are regarded as one of the best. The Bachelors degree in Forensic Sciences (honors) is offered at their main campus in Noida as well as their campuses in Manesar, Gurgaon and in Dubai. The minimum qualification required to sit for their entrance test is a 50% marks in 10+2 with Pure Science (PCM or PCB combination) in the same. However, since the institution is solely a private one, its charges are a bit on the steeper size—for a non sponsored candidate, the course fee per year would come to Rs. 0.44 lacs per year while for a sponsored candidate, it would rise to Rs. 0.66 lacs per annum; however, the institute claims a 100% placement assurance to all its candidates. With “knowledge, wisdom and fulfillment” as their motto, they can easily be termed as one of the foremost Forensic Sciences institutions in India. 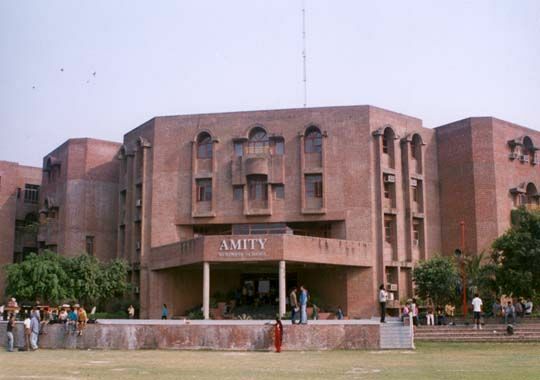 However, getting into this institution post 10+2 isn’t possible since they offer only Post Graduate courses or PG diploma courses and PhD courses. Since this university is dedicated to forensic sciences only—you’ll get a range of allied courses and specialization to choose from. For example, apart from the basic forensic sciences degree, you’ll also get a course on digital forensics, homeland security and anti terrorism and so on. The course fee is on a higher side, varying between Rs. 35,000 to 1 lac per semester for different degree courses, and Rs. 15,000 to Rs. 60,000 per semester for different PG diploma courses. The admission is generally based on entrance tests and a bachelor’s degree in technology or medical science or any other allied subjects is mandatory for the same. 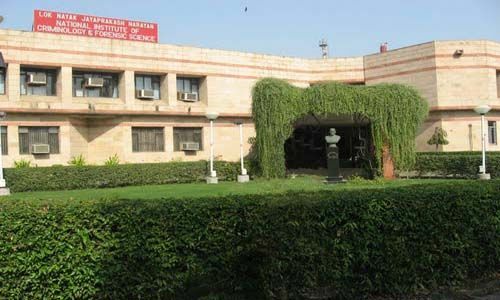 The institute, set in 1972 to facilitate education, teaching and research in criminology and forensic sciences, is unanimously regarded as the best in India. However, like Gujarat Forensic Sciences University, this institute doesn’t offer any course at the bachelor’s degree in the mentioned subjects but only Post Graduation and further studies are allowed. The M.Sc in Forensic Sciences is a full time course of two years, the minimum eligibility criterion for which is a bachelor’s degree in subjects related to medicine or technology. Since this is a Government institution, the fee structure is also suited to the purpose of all students alike. IFS, as this institute is widely known as, is a Government registered institution, and India’s first institute on Forensic Sciences to offer online as well as distance education courses. They have on offer a varied range of courses from ‘forensic science and criminology’ and ‘forensic science and finger prints’ to ‘Cyber Forensics’ and ‘Forensic Science and DNA Fingerprinting’. Although this organization do not have any degree courses, their short term courses, diploma and certificate courses are fruitful too and provide an wholesome basic idea of the workings and intricacies of the subjects. Their fee structure is student friendly and range from Rs. 2000 for a 2 months’ course to Rs. 35,000 for some 1 year courses. IFS which offers distance learning course is INTERNATIONAL FORENSIC SCIENCE Pvt Ltd. Pune. Is there any best college(best placement) for bsc forensic science in thamilnadu coimbatore? Sir I done my BMLT from NIMS University sir can I apply for msc in forensic science in Lok Nayak and Gujarat University ? I have completed my plus two in medical stream. I need information about admission details of government colleges for BSC in forensic science! I am,surprised to read that the name of the Punjabi University,Patiala’s is not existing any where in the 9 best colleges/institute of the country. Punabi university is second in the country and first in the northern region to start a post graduate programme in the subject of Forensic science.It started in the year of 1974 as a fulfledged PG Course and presently one of the best in the country on the academics side. Large number of the students of this department are on senior positions of the state and central govt. labs in the country. The commentator is the first batch student and first Ph.D of this university and working as Professor now and was awarded National scholarship by the Govt.of India for the first time in this subject. I would say that the name of the Punjabi University be added immediately and this incorrect/incomplete information be rectified.This department is the only one presently in the country having very senior faculty in the subject.